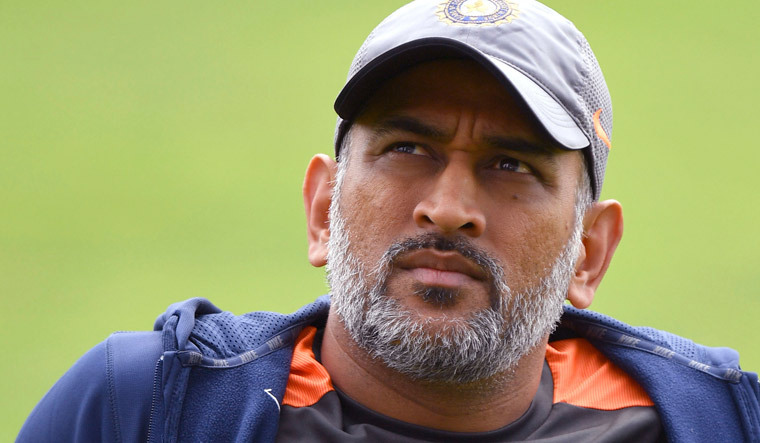 India's assistant coach Sanjay Bangar came to the defence of the under-fire Mahendra Singh Dhoni, saying losing wickets at regular intervals did not allow the veteran campaigner to play freely in the second ODI at Lord's. Former skipper Dhoni faced a lot of flak after a slow innings at Lord's, where he was even jeered while scoring 37 off 59 balls. After skipper Virat Kohli and leg spinner Yuzvendra Chahal, Bangar, too, backed Dhoni. "With the combination we are playing, we do not have the depth at numbers 8, 9 or 10 (the lower order), and when you lose couple of wickets, it becomes really difficult to bat with that sort of freedom. Due credit to the England bowlers, they didn't allow us to score any boundaries in that period and that was the reason the run rate kept climbing up," Bangar said. "He was just hoping someone would bat with him and we were just hoping that he could bat till the 40th over and take the bowlers on. But, every time he looked to do that, we lost wickets—first there was Raina and then Hardik (Pandya), and then there was no batting to follow for him to do the usual stuff he does," he added. Notwithstanding the envy it evokes among opposing teams, Bangar said India's batting line-up is still a work in progress, as the middle order needs to spend more time at the crease. "The way our top order is batting, our middle order hasn't got the opportunities as the top order is doing the bulk of the scoring. At times, they straightaway walk into game situation. Mind you, not all of them are playing all the formats of the game so you have to give some weightage to that," Bangar said at the pre-match press conference. "Coming straight to international cricket and doing the sort of things you are expected to do in this format (is tough), so continuity factor also plays a part." The series is locked at 1-1 after India won by eight wickets in Nottingham, while England won by 86 runs at Lord's. "Going forward, there are still 16 to 17 games to go, we're looking at the games remaining wherein we could look at settling the middle order slots. I am pretty sure that things are fluid at the moment. It's not that a guy is only going to bat at a particular number," he added. K.L. Rahul failed at get going in the second ODI and India might be forced to have a rethink about their middle order for this finale. "Obviously, the plan was to have a left-hander batting in the middle-order. That is the reason why Suresh (Raina) was picked ahead of Dinesh (Karthik). We did change a bit in the T20 format, where KL batted at three and Virat batted at four. Looking at this series, and the performances that Virat has got at three, especially in the last series, he scored three hundreds versus South Africa in five games. "It is going to be a very fluid situation. We'll see as to the players available and the fitness of the players. Ambati Rayudu was someone who can bat very well in the middle-order, but unfortunately he couldn't clear the fitness test. But I am pretty sure going forward, if he passes the fitness test, he could also be a candidate. "Lots of spots are open. The good thing is that the bench strength that we have Rayudu, Manish Pandey and Ajinkya Rahane. There are enough spots for each and every eventuality that we might face leading up to the World Cup," he added. "He's a quality bowler. We've obviously been missing our two frontline bowlers in the ODI format. Also provides us an opportunity, because there are not too many games to go before the World Cup—only 16 or 17 games. It gives us an ideal situation to test the bench strength. "Also with the upcoming Test series, we never wanted to take any chances with Bhuvi. He's very critical to the team plans. He's in with a chance to play (tomorrow). He'll have to go through some sort of a fitness test before we can confirm his availability for the next game," Bangar said. "I think the amount of cricket we're playing and the results we've got in the last 12 months or so, the team is pretty used to it (criticism). That is something we cannot control but the guys are very focused," he signed off.